NE, I took you to the doctor yesterday morning, and as we left you placed your sticker on the window of my truck and said it was for me, because I “did a good job of being good…and not fighting…and using nice words…and not hitting the doctor.” Warmed my heart little man!! As we hang out at home this morning, we’re watching one of your favorite shows, “Fireman Sam”. Fireman Sam is the main character, and one of his partners is Elvis. You’ve been dressing up in your “firefighter’s clothes” pretending to be Fireman Sam, calling me Elvis all morning. You have a pair of firefighter pants with suspenders and your winter coat as your fire coat. You’ve reallocated your rain boots, making them your fire boots, and a plastic fire helmet…and your school backpack becomes your air pack. You were dressing up and then responding to an “emergency” in the other room and coming back out to take off your gear and stow it for the next emergency. I showed you how firefighters keep their boots in their bunker pants, and you’ve been storing them that way all morning. You’ve been practicing all morning, and you’re even learning some of the tricks of the trade to get faster each time. The smile on your face as you play firefighter is enough to make any daddy proud. I love your heart and compassion for others. Even when you’re sick and not feeling well, you’re thinking of others. Whether you know it or not yet, God has given you a servant’s heart and a desire to help others. I see it in the little things throughout the day too. Just now, you grabbed a bowl for the grapes you’re eating, and you brought one for your brother too. Your creativity and imagination are also definitely among your God-given gifts. I love to watch you play. Your ability to make up a story and play it out to the fullest is refreshing. The stories you tell your mom and me…I don’t know where they come from sometimes, but I love to listen to what’s in your head. 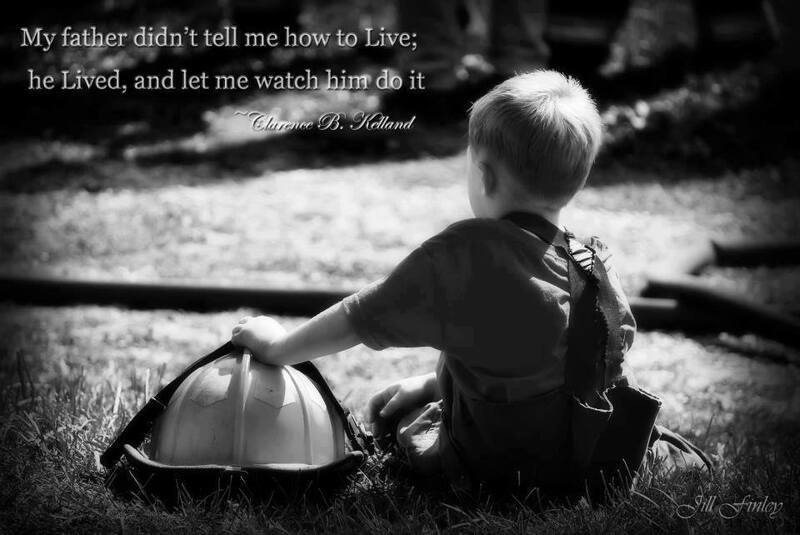 Watching your youth and innocence is rejuvenating for my soul, and it warms my heart to watch you in action, “Fireman Sam”.